RANCHO MIRAGE, CA (September 28) — The 3rd Annual Ferrigno Legacy™ presented by Carr Cellular Fitness returns to Agua Caliente Casino Resort Spa in Rancho Mirage, CA near Palm Springs on October 28-30th 2016. California’s newest and most prestigious IFBB Olympia and NPC national qualifier hosts 450+ athletes competing for trophies, cash prizes and fitness recognition along with more than 3,000 spectators. New this year is the addition of USA Powerlifting Southwest Regionals Competition on Sunday, October 30th. 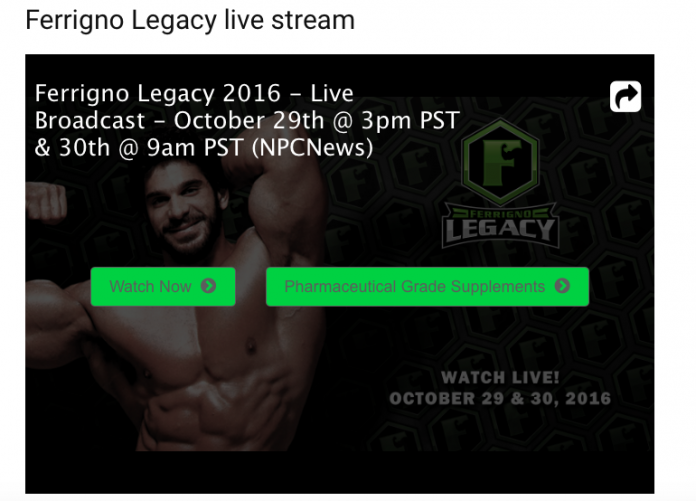 The Ferrigno Legacy is a national qualifier for amateur athletes. Top qualified amateurs may go on to compete for pro status. 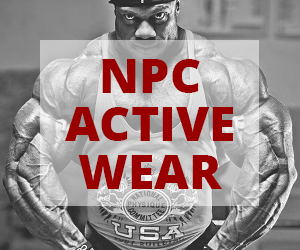 IFBB Pro athletes contend for the prestigious achievement of a Mr. Olympia qualification. 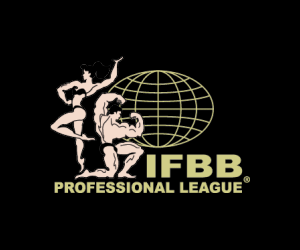 Renowned as one of the industry’s best competitions by contestants, judges and spectators alike, the event features IFBB Pro Divisions: Men’s Open Bodybuilding, Men’s Classic Physique, Women’s Physique, and Bikini. Pros compete for $33,500 in cash prizes and all athletes compete for the legendary custom made “Incredible Hulk” trophies. 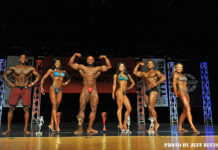 NPC divisions feature Bikini, Figure, Physique, and Men’s Bodybuilding in multiple classes and levels. USA Powerlifting Southwest Regionals divisions feature Men’s and Women’s Powerlifting in Bench Press, Squat and Deadlift in multiple classes and age groups. Tickets are $15.00−$60.00 at www.hotwatercasino.com or (888) 999-1995. Parking is free. For more information, visit www.ferrignolegacy.com. Editors Note: For media interviews with amateur or pro competitors, Lou Ferrigno, Lou Ferrigno Jr. or Chris Minnes please email Ted@ferrignolegacy.com or call (540) 272-1767. Lou Ferrigno achieved bodybuilding icon status with back-to-back Mr. America and Mr. Universe titles. He starred in “The Incredible Hulk,” “Pumping Iron,” “Sinbad of the Seven Seas,” “Hercules,” “The Avengers” and other films and TV shows. He is the founder of Ferrigno Fit and a California Reserve Deputy Sheriff. 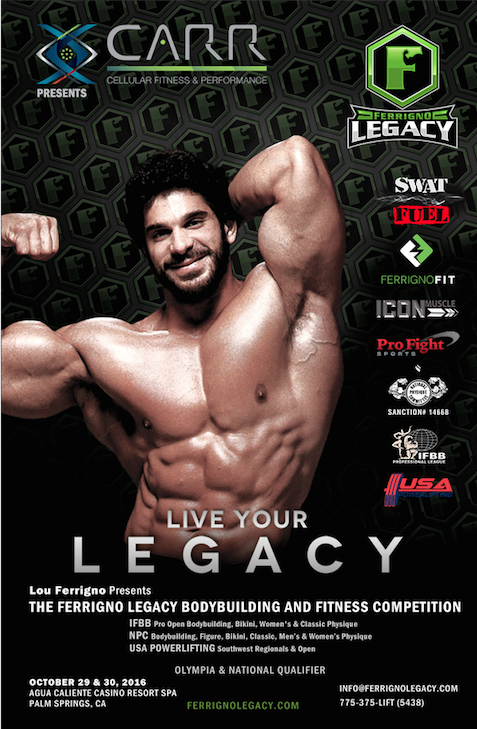 The 3rd Annual Ferrigno Legacy is produced by bodybuilding competitor and promoter Chris Minnes, Lou Ferrigno, and Lou Ferrigno, Jr. For more information, visit www.FerrignoLegacy.com. Located near Palm Springs, California, the four-diamond property offers fine dining, spas, casino, luxurious hotel rooms, nightclub, on-site fitness center and the $76-million “The Show” theatre awarded “Best in America” with headliners like Billy Joel, Tony Bennett and Jay Leno. Visit www.hotwatercasino.com.